Which proCane Will Have the Biggest IMpact in the 2010 NFL Season? EL PASO -- The dream career for some people would be to play football for the Philadelphia Eagles, Chicago Bears or the Washington Redskins. For Jamaal Green, who once was a defensive end for all three teams, his dream was to one day work in law enforcement. 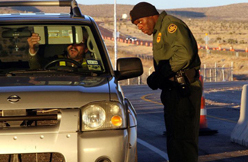 His dream became a reality on Feb. 17, 2008, when he became a U.S. Border Patrol agent in the El Paso area. "A lot of kids look up to professional athletes as heroes," said Green, who currently works at the Border Patrol checkpoint on Montana Avenue heading towards Carlsbad. "Me, I looked up to law enforcement officers as heroes." Green, who was born and raised in Camden, N.J., said it was never his boyhood dream to play football. He started playing football during his junior year at Woodrow Wilson High School at the urging of one of the team's coaches. "He saw I had some kind of athletic ability and he saw how big I was," said the 6-foot-3-inch former athlete. "I picked up the game pretty well." Green was so successful on his team, he was named to the New Jersey All-State first team. 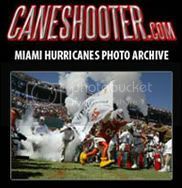 His success also earned him a full scholarship to the University of Miami, where he lead his team in sacks and helped win a national championship in 2001 during the Rose Bowl game against Nebraska. But after he was picked during the fourth round of the 2003 NFL draft by the Philadelphia Eagles, he was plagued by a rash of preseason injuries. "I was five minutes away from where I grew up. It was my hometown team and everybody was excited," Green said. "During my third preseason game, I broke my right fibula and I tore a ligament. I have a plate and seven screws in my leg right now. That injury caused me to miss my whole first season in the NFL." Green was heartbroken but determined to come back in time for the next season, but was injured again during the preseason. "I was fortunate enough to come back and have three good games in a row," Green said. "I was projected to be one of the starters (in the next year)." Those expectations were shattered when Green was injured again during the preseason. After earning an NFC Championship ring with the Eagles, he was released and picked up by the Chicago Bears, but after yet another preseason injury. he was released and joined the Washington Redskins. It was during a home game with the Redskins that, during a pregame show, Green discovered the U.S. Border Patrol. "The Border Patrol was at the game doing a pregame show with the National Anthem. They were saluting at the game, and that was the first time I've ever seen the Border Patrol," Green said. Green, who majored in criminology at the University of Miami, said his wife, Nailah, knew about the agency and once thought about applying there. "I looked up the Border Patrol and found out what they wanted to accomplish," Green said. After growing up in Camden and seeing first-hand how drugs and gangs could destroy families, Green said he could make a difference in combating those problems by becoming a Border Patrol agent. "It's one thing to be talking about it, and another thing to do something and prevent it," Green said. Moving to El Paso has also given the Green family a better opportunity at a safer upbringing. Green and his wife have two children, a son Jahaan, 2, and a daughter Jahzara, 1. "It's great being a lot further away from places like (Camden) to raise kids," Green said. "It's a good thing to be able to move out here to a safer city and have a better chance at a decent life. It's a lot better." At least three Camden natives have had the same idea. Green said he's run into three people in El Paso who also attended Woodrow Wilson High School. Many of Green's coworkers have asked Green why he gave up the glamourous life of an NFL player to become an agent. While at the Border Patrol academy, Green said he received calls from the Oakland Raiders and the Houston Texans with offers to join their respective practice squads, but Green declined. "They (co-workers) said 'That's crazy that you would do that, leave your dream to come to the Border Patrol,' " Green said. "I tell them that was never my dream. It was a quick way for me to earn a free ride to school. I stayed in football long enough to get out of there safe. In my position (as defensive end), it's so brutal that by the age of 45 you might not be able to walk straight. 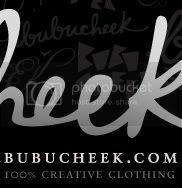 My health is more important than the extra money." For the most part, Green has been welcomed with open arms by his fellow agents and his superiors. 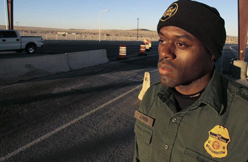 "Agent Green is representative of our expanded recruitment efforts that continue to be conducted throughout the nation," said El Paso Sector Chief Patrol Agent Victor M. Manjarrez Jr. "His background speaks highly of the quality of our employees and the varied work experiences that support our national strategy of protecting our nation's borders."